A church in my neighborhood - originally called Trinity Presbyterian Church, but usually called Mission Presbyterian Church, or Iglesia Presbiteriana de la Mision. 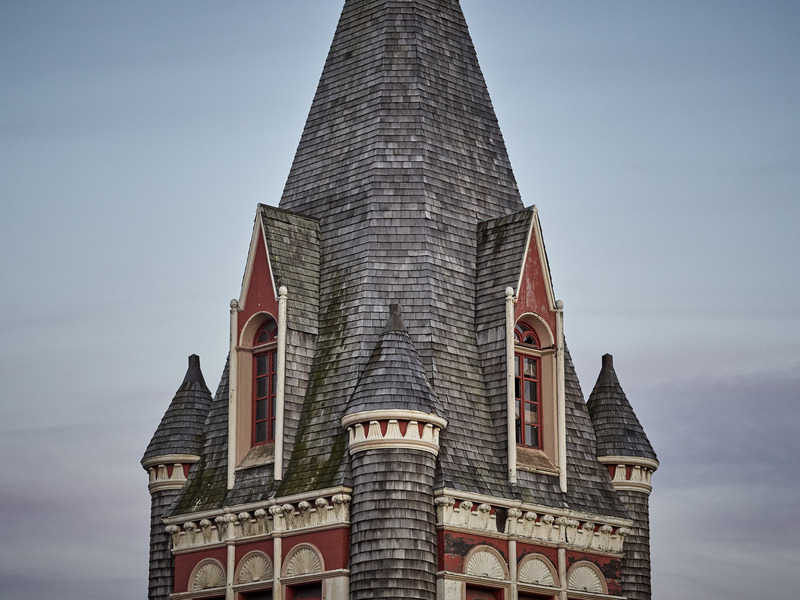 It’s on the National Register of Historic Places, like many other buildings in SF, and was built in 1892. NoeHill has a decent history of the church. It isn’t in very good shape: the large stained glass windows were protected by additional glass, which is now cracked. And like so many other places in the Mission, the small space inside its doorway provides a small place for homeless people to sleep at night. I’ve never been inside.